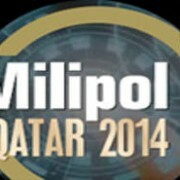 Magellium will attend Milipol Qatar in Doha on October 20th, 21th and 22th 2014. Magellium is member of Primus cluster, the Toulouse Midi-Pyrénées Defence, Security & Safety Cluster hosted by the Chambers of Commerce of Toulouse & Midi-Pyrénées. You are welcome to meet our representatives at Booth #C029 on the French pavillon and find out about our geo-intelligence and map production solutions for defense & security. More information at Toulouse Midi-Pyrénées Defense, Security, and Safety Cluster and www.milipolqatar.com.